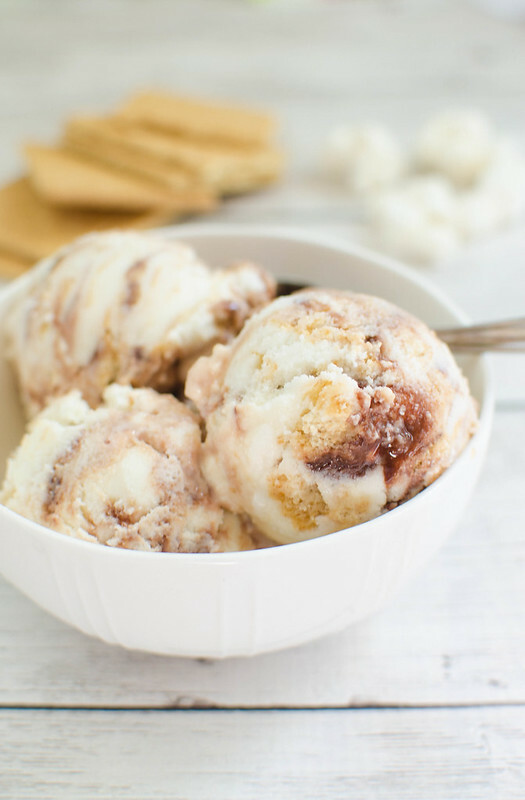 S’mores Frozen Yogurt – your new favorite summer treat! 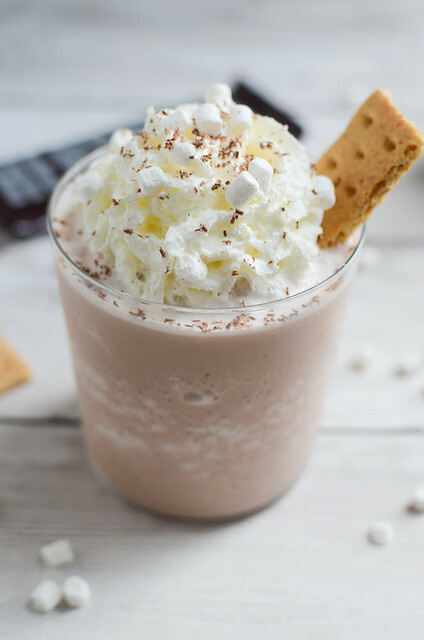 It starts with regular vanilla yogurt and turns into the most delicious s’mores froyo with a fudge swirl, graham crackers, and mini marshmallows. My faaaaave week of the entire year! Nicole and I have been doing this for 5 years now. Five years. That’s a lot of s’mores. Somehow we’re not sick of them yet. I’m still making stovetop s’mores in the middle of the night most days of the week. If someone has s’mores anything on the menu, I’m 100% going for it. Still obsessed with s’mores. We probably should’ve gotten matching s’mores tattoos instead of pineapples. 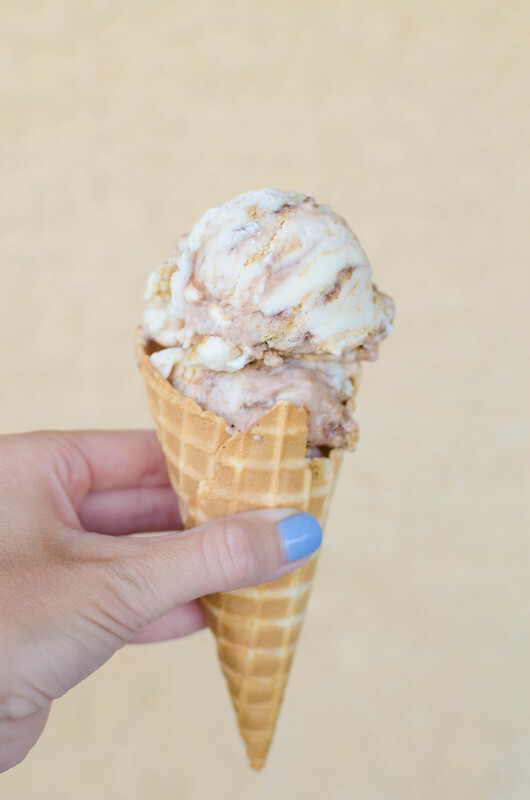 I wanted to make this S’mores Frozen Yogurt as simple as possible so I started with a vanilla yogurt. If you buy plain yogurt, just sweeten it with honey or your preferred sweetener. Or if you think vanilla yogurt is too tart, honey works there, too. 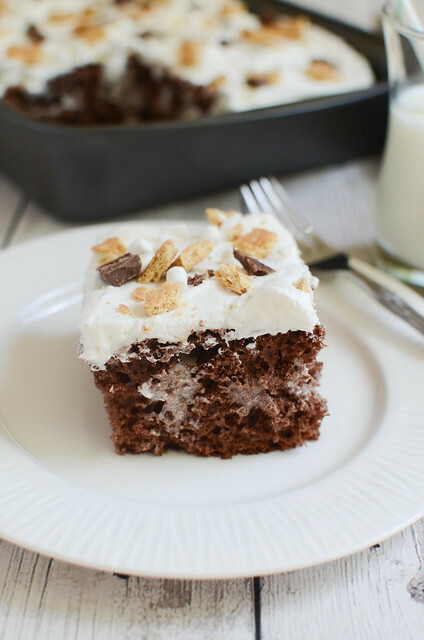 Just freeze that in your ice cream maker and when it’s done, fold in some chopped graham crackers and mini marshmallows. Then I took the fudge swirl that I used in my S’mores Ice Cream (from the first year of S’mores Week!) and layered it with the froyo in a freezer-safe container. Seriously easy and so delicious. 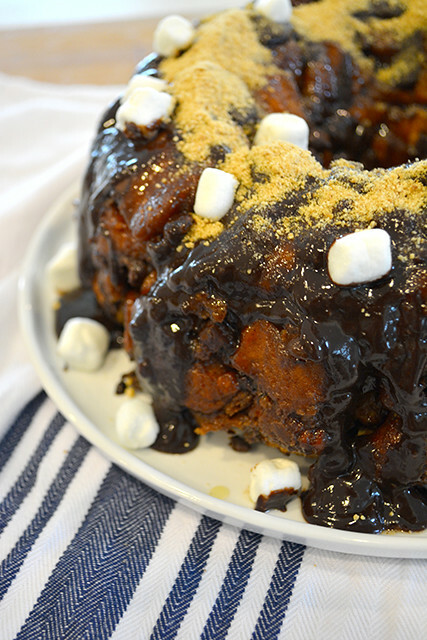 Nooooooow, go check out the S’mores Monkey Bread that Nicole made for day 1 of S’mores Week! Best breakfast ever! Whisk together the sugar, water, corn syrup and cocoa powder in a medium saucepan over medium heat until the mixture begins to bubble at the edges. Cook for about 1 minute, whisking the entire time. Remove from the heat, stir in the vanilla and let cool. Chill in the refrigerator for at least 2 hours before using. It can be stored for up to 2 weeks, covered, in the refrigerator. To make the frozen yogurt, freeze the vanilla yogurt in your ice cream maker according to manufacturer's instructions. 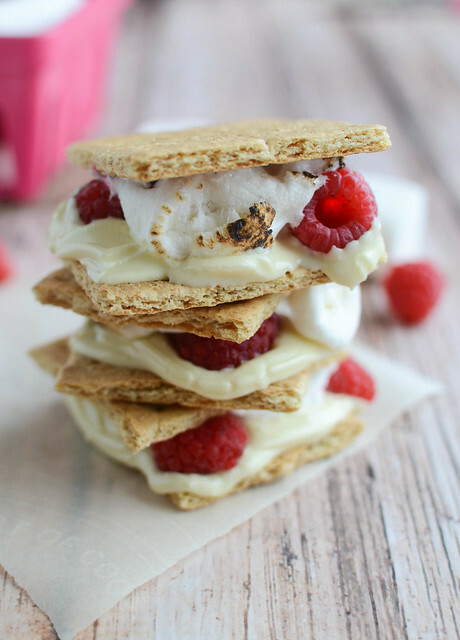 Once frozen, fold in graham crackers and marshmallows. 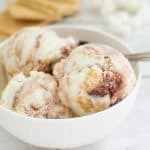 In a freezer-safe container, make a thin layer of frozen yogurt, drizzle with fudge swirl, and repeat until all the frozen yogurt is in the container. Freezer overnight before serving.